Editor's note: Takata airbag recall costs did not play a role in the quarterly decline in net income. An earlier version of this story misstated those factors. YOKOHAMA, Japan – Nissan Motor Co. reported a 9.2 percent slide in global operating profit in the latest quarter as foreign exchange losses bit hard into earnings. 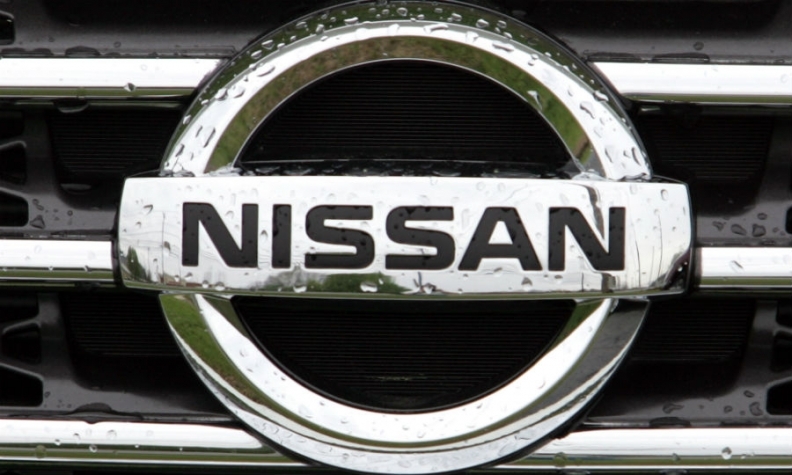 Operating profit declined to 175.83 billion yen ($1.71 billion) in the company’s fiscal first quarter ended June 30, Nissan said today in a statement. Net income fell 11 percent to 136.37 billion yen ($1.33 billion) in the April-June period. Nissan attributed the decline to disadvantageous exchange rates, soft conditions in emerging markets and falling sales in Japan. Worldwide revenue decreased 8.4 percent to 2.65 trillion yen ($25.84 billion) in the quarter, as global sales dipped 0.6 percent to 1.29 million vehicles. It was the first time in three years that the company booked a decrease in first-quarter operating profit and the first drop in first-quarter net income in four years, Nissan said. Corporate Vice President Joji Tagawa said Nissan’s core auto performance was strong in the quarter but dented largely by the appreciation of the Japanese yen. If excluding foreign exchange losses, Nissan would have posted a 3.2 percent increase in revenue and a 38 percent surge in operating profit for the quarter, he said. "Currency impact, if you remove that, profit is increasing," Tagawa said. "So our business, per se, is not in a problematic situation." Instead, unfavorable exchange rates lopped 91.2 billion yen ($889.1 million) off operating profit. Falling volume in Japan, where Nissan suspended sales of minicars supplied to it by Mitsubishi due to faulty emissions testing, also hurt performance in the quarter. Operating profit margin expanded to 7.2 percent in the quarter, inching closer toward CEO Carlos Ghosn’s Power 88 mid-term business plan goal. It targets global operating profit margin of 8 percent and 8 percent market share by March 31, 2017. In the fiscal year that ended March 31, Nissan’s operating margin jumped to 7.0 percent, from 5.8 percent the year before. But getting to 8 percent by next spring may be tougher as growth in the U.S. moderates and foreign exchange rates begin to bite into earnings. North American profit was also hit by swinging foreign exchange rates, especially the yen’s appreciation against the Mexican peso and Canadian dollar. It was also pinched by higher incentive spending, particularly on passenger cars, Tagawa said. North America regional operating profit fell 17 percent to 79.4 billion yen ($774.1 million) in the fiscal first quarter. Volume climbed 8.9 percent to 529,000 vehicles. In Europe, sales declined 2.9 percent to 183,000 vehicles, while regional operating profit increased 21 percent to 8.9 billion yen ($86.8 million). Nissan kept its full-year forecast unchanged. It expects the strengthening Japanese yen to undermine earnings. Operating profit is expected to fall 11 percent to 710.0 billion yen ($6.92 billion) in the current fiscal year ending March 31, 2017. Net income is forecast to essentially flat line, inching ahead just 0.2 percent to 525.0 billion yen ($5.12 billion). Nissan said it is bracing for another hit from forex losses for the full year. The company sees revenue sliding 3.2 percent to 11.8 trillion yen ($115.04 billion). It had previously said global retail sales would expand 3.3 percent to 5.6 million vehicles. North American sales are expected to grow 2.9 percent to 2.07 million vehicles this fiscal year, while U.S. sales advance 3.5 percent to 1.57 million vehicles. Mitsubishi Motors, in which Nissan plans to acquire a stake for about $2.2 billion, reported a loss of 129.7 billion for the quarter. It reiterated its forecast given last month for a 145 billion yen deficit for the fiscal year ending in March.